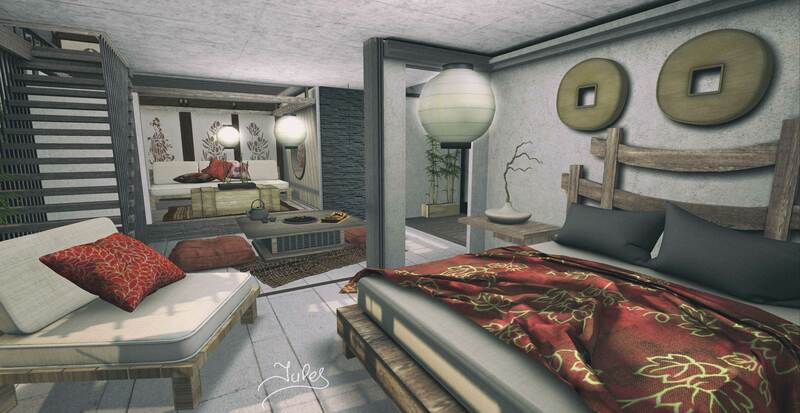 Good Morning everyone, it’s my favourite time of the week, I get to stay home in comfy clothes and chill catching up on things and having a great day relaxing, that being said I don’t have much more to say other than todays post is all about Japan as you can see, Merak has released this gorgeous Japanese house @ Neo Japan so what better way to show case it than filling it with so many gorgeous items by Zen Creations, they have full rooms to decorate such a beautiful house. Check the details out below. Totally stunning photography, Asian theme pulled off with perfection, such realism in this photo, makes you want to jump in and sit down, amazing work, thank you!